The original version of this article, by Lisa Palmer, appeared on The Yale Forum on Climate Change and the Media. Humans, it’s no secret, are versatile and unpredictable in how they use their land. We build mega-cities in deserts, raise crops on flood plains, live along vulnerable coast lines enjoying seas dangerously rising, and burn rain forests to create new pastures. As it turns out, however, this versatility with land may only get us so far. The world’s growing population, coupled with climate change and limited acres of fertile soil, pose fundamental challenges feeding the world. 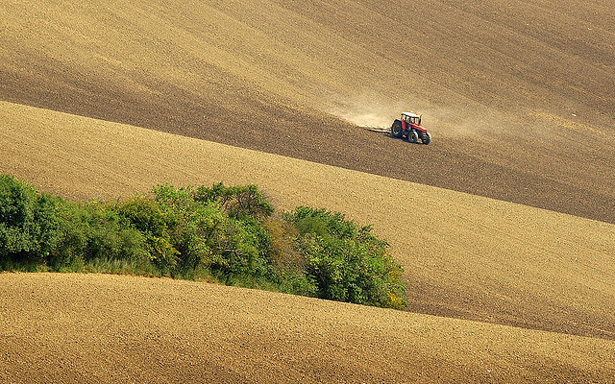 Today, farmland claims half the surface of the planet. With world population projected to reach 9.3 billion by 2050, just how to coax more food out of each field and where to obtain additional land – without clearing forests, contributing to climate change, and harming the environment – will not be easy. Consequently, media reporting on something as basic as greenhouse gas emissions from land planted with crops for biofuels, or the value of local farming, for example, seems so 2011. Now experts say the focus should be on the nexus of agriculture and climate change as it relates to land needed to feed growing populations. And some of the media are on the right track. A report in The New York Times addresses the link between climate change and the growing risk to the world’s food supply. The story is based on information from a leaked report by the Intergovernmental Panel on Climate Change. A final version of the report is due to be released to the public in March. Continue reading on The Yale Forum on Climate Change and the Media. Photo Credit: Fields in South Moravia, Czech Republic, courtesy of flickr user Martin Sojka.